The highly-aspirational stories in MY:24 are told by 11-21-year-olds – expressed in their own words and using their own images. In each episode, the young person is the driver in the telling of their own story in their own words, with content created specifically for the series. Jake and Rida’s MY:24s each set in motion a chain of events that would bring with them both freedom and belonging, but also familial friction and challenges. Both Dave and Crystal’s MY:24s had a strong physical component, albeit in very different ways. Tyrone and Madison’s MY:24s pushed them into areas they had the most passion for – sport and the ocean respectively – and lead to extraordinary opportunities. 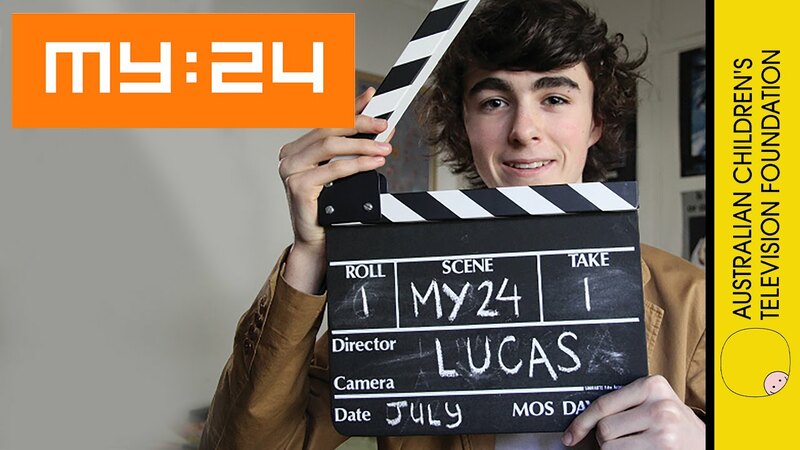 Lucas and Madeleine’s MY:24s lead them to put their disabilities behind them and follow their passion of being creative performers and striving to be heard. Fablice and G-Storm have similar MY:24s, not surprising given they are uncle and nephew, and came to Australia from Africa. Mikey and Faith’s MY:24s helped them get the stability in their lives that they both craved. Coen and Romy’s MY:24s involve life-and-death events, one internal and one external, and the consequences of their survival. Harry and Sarai’s MY:24s led to them each having to adapt to entirely new situations that they were completely unfamiliar to. Justin and Stephanie’s MY:24s lead to each of them standing out uncomfortably from their peers, albeit in very different ways. Sam and Makhala’s MY:24s both feature rescues – Sam rescued a drowning man and Makhala was rescued from the insidious condition of anorexia, by making a surprising connection. Ryan and Rose’s MY:24s both strongly involve family, though one of them had to leave his to follow his dreams, and the other had to step up and take responsibility for hers. Andy and Lyndsey’s MY:24s made each of them realise just how they could take control of their lives, and help them achieve their dreams. Dom and Tess' MY:24s are both entwined in the art of performance and illustrate how a taste of success can have a big impact on someone's level of self-confidence.